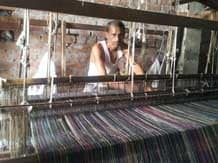 India has now become the second largest textile exporter after China on now constitutes 5.2% of the share with total exports at $772 billion. Apparel exports contributes to 43% of India's total textile exports, according to data released by UN Comtrade. Apparel exports ranking has also improved to 6 position in 2013 from 8 position in 2012. India’s Apparel Exports, was to the tune of $15.7 billion in 2013, as against $12.9 billion in 2012. Among the top five global clothing suppliers except for the Vietnam; India’s apparel exports registered the highest growth of 21.8% in 2013. India's apparel exports accounts for 3.7% of global readymade garment exports. “Despite having slow recovery in USA and EU, our biggest traditional markets as well as prevailing global slowdown coupled with sustained cost of inflationary inputs, we made the best possible efforts to reach here," said Virendra Uppal, chairman of Apparel Exports Promotion Council.